I've had a huge Mexican food craving these last few weeks. With the holidays and life just being busy, cooking has been on the back burner (along with the blog). I finally cured my Mexican food craving. 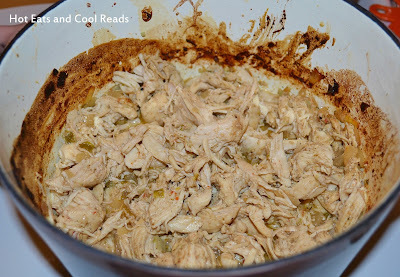 This recipe for Cafe Rio Chicken is SO good! It's easy to throw together, and you can cook it in either the oven or slow cooker. I love being able to use chicken instead of the usual ground beef. It's so much healthier, and for being on healthy side, this recipe is not lacking in flavor. We would definitely make this again! Enjoy! Combine all ingredients in a crock pot or dutch oven. Bake at 350 degrees, for 1 hour. (covered) Shred the chicken, then bake an additional 15-20 minutes. Bake in a slow cooker on high for 3-4 hours or low for 7-8 hours. Shred. 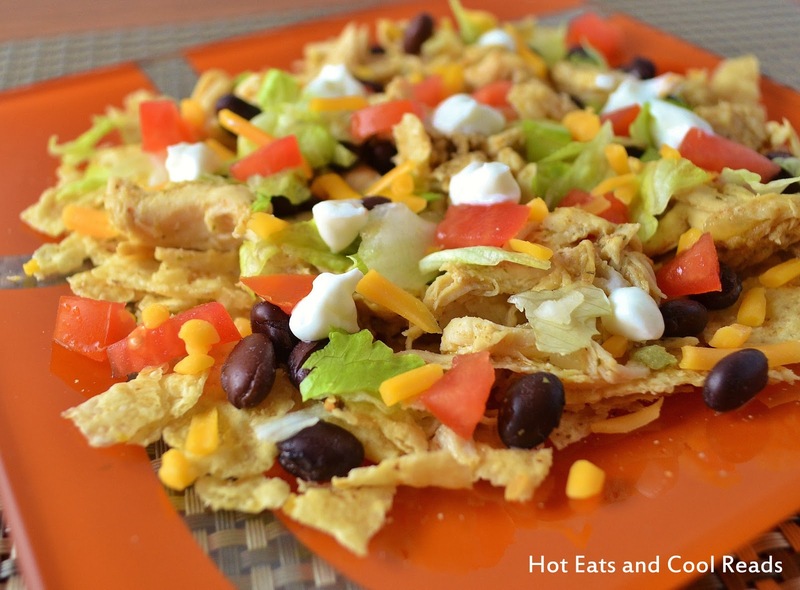 Serve with tortillas, tostadas, chips for nachos, or as a taco salad. I had to pin this one because I want to try it. I'd like to invite you to participate in my Pin Me Linky Party. It goes Fri-Wed. I allow up to 3 links each week! Thanks so much for pinning, Brenda! Hi Sheena! The recipe looks and sounds yummy! Just printed it! Thanks for sharing! Blessings from Bama! Your Cafe Rio Chicken looks delicious and can't wait to taste it. Hope you are having a great weekend and thank you so much for sharing your awesome recipe with Full Plate Thursday. This sounds so good. I love that it is chicken, thanks for sharing. Your welcome! Glad you stopped by! This looks delicious. Thanks for sharing on Foodie Friends Friday and hope you will return this week. We don't have Cafe Rio here, but I've had a serious Mexican food craving lately. This looks good! Stopping by from Mealtime Monday. I'm with Michelle. No Cafe Rio here .... But I am on a Mexican kick (obvious by my menu this week ;)) Pinned to try, Sheena! Thank you for sharing at All My Bloggy Friends last week! YUM! This looks great and I love all the ingredients!